New Delhi, July 26th 2018: Reacting to the findings of Centre for Science & Environment (CSE) on the large scale presence of Genetically Modified (GM) foods in India even though this is illegal, the Coalition for a GM-Free India slammed the Union Government for actively jeopardising the health of all Indians by allowing illegal and hazardous GM foods on a large scale in India. Existing scientific evidence clearly points to numerous health risks from GM foods. Experiments conducted in different parts of the world, using various research protocols, show clearly that GM foods are not safe. Adverse impacts include effects on growth and development of an organism, organ damage, immune system disorders, cancerous growth, reproductive health problems including infertility, allergies etc., amongst other impacts. “This is not just negligence but adoption of an anti-citizen policy by the Government of India. We say this because the government knowingly created a regulatory vacuum in which there is no authority taking responsibility to put a check on such GM foods from coming into our food supply chain. This is highly irresponsible and reprehensible. Let us not forget that BJP came to power with a promise in its election manifesto that said that ‘Genetically Modified foods will not be allowed without full scientific evaluation on its long-term effects on soil, production and biological impact on consumers’ and what we are witnessing today is a clear reneging on this promise”, said the Coalition in a statement today. A notification (No.SO. 1519 (E) which was originally brought in by Genetic Engineering Approval Committee (which was subsequently renamed as Genetic Engineering Appraisal Committee) on 23rd August 2007, exempted the occupier of processed food items (where the end product is not a Living Modified Organism) derived from living modified organisms or GMOs from the purview of the 1989 Rules (from Rule 11 specifically, which states that “Food stuffs, ingredients in food stuffs and additives including processing aids containing or consisting of genetically engineered organisms or cells, shall not be produced, sold, imported or used except with the approval of the GEAC”). “We, the citizens question GEAC’s power to deviate from mandate given to it, by irresponsibly exempting GM-derived processed food items”, added the Coalition. On being challenged in the Supreme Court by a batch of petitions GEAC kept the August 2007 notification in abeyance for six months’ periods (“or until issue of further notification by the Ministry of Health and Family Welfare regarding regulation of GM processed foods by the FSSAI, whichever is earlier”) several times over the many years (SO 411(E), SO 2519 (E), SO 800 (E), SO 2884 (E), SO 828 (E), SO 2478 (E) etc. etc.). It appears that GEAC actively allowed the Notification No. S.O. 1519 to kick into effect by the end of March 2017, when it stopped issuing any more notifications keeping the August 2007 notification in abeyance. This is a clear case of allowing a vacuum to build in the regulatory regime related to GM food stuffs. A case filed by activist Vandana Shiva (Civil Writ Petition No. 11 of 2008) saw the Supreme Court issue an Order on 20/10/2008 stating “Learned Counsel for the Union of India seeks time to file the following instructions in the matter in view of the rejoinder filed by the petitioner. Till such time, the notification S.O. 1519 (E) dated 23/8/2007 issued by the Government will be kept in abeyance”. Repeated Office Reports of the Court show that there has been no document filed pursuant to the above Order. In fact, the Court ordered on 2/5/2016 that the respondents have to pay (a penalty of) Rs. 10,000/- for not filing counter-affidavits despite repeated orders. By 5/5/2017, the SC Office report indicates that nothing has been filed, nor proof of payment of cost by any of the respondents! It was only on 4/5/2017 that Respondent No. 3 filed an additional affidavit, as per an SC Office Report. Curiously enough, it was only later, on 24th May 2017 that the Food Safety and Standards Authority of India (FSSAI), under the Ministry of Health & Family Welfare, filed an affidavit in the Supreme Court of India. Here, the FSSAI openly admitted that “GM foods are not allowed in the country and neither can be regulated till such notification (for regulation under Sec 22 of the Food Safety and Standards Act) is issued” (Page 9, Para VI). It further stated that “it is submitted that the GEAC is responsible for risk assessment and approval of GM organism and products into the environment. As and when any GM food is approved by the GEAC, as per the provision in Sec.22 of the FSSA 2006, FSSAI has the responsibility to regulate it.However, since regulations in this regard have yet to be framed, it follows that GM food is not permitted to be sold in the country”. Despite such serious lapses from the Respondents in this case, the Supreme Court, for reasons best known to the Hon’ble Bench, through its Order dated 11/8/2017, disposed off Writ Petition 11 of 2008 along with Writ Petition No. 173 of 2006! The SC Orders of 11/8/2017 note that “there is no notification/regulation allowing any activity in connection with genetically engineered and modified food”. It however, did not set any time lines for the framing of such regulations by the FSSAI nor did it take cognisance of the vacuum left by GEAC’s withdrawal from regulation of such foods (another respondent in the said case). It appears that GM foods started flooding Indian markets openly and defiantly since then. In the current scenario of hazardous illegal foods being dumped onto unaware and uninformed Indian citizens, the following regulators are squarely responsible. Upon presentation of evidence and complaints by citizen groups like the Coalition for a GM-Free India, they have been actively pasting the buck to each other, without a single concrete measure taken up so far. Director General of Foreign Trade, in the Ministry of Commerce: These complaints by the Coalition for a GM-Free India on 31st January 2018 explain the violations of regulations in this Ministry and the lack of action by the regulators here. The DGFT responds simply by writing to other Ministries! 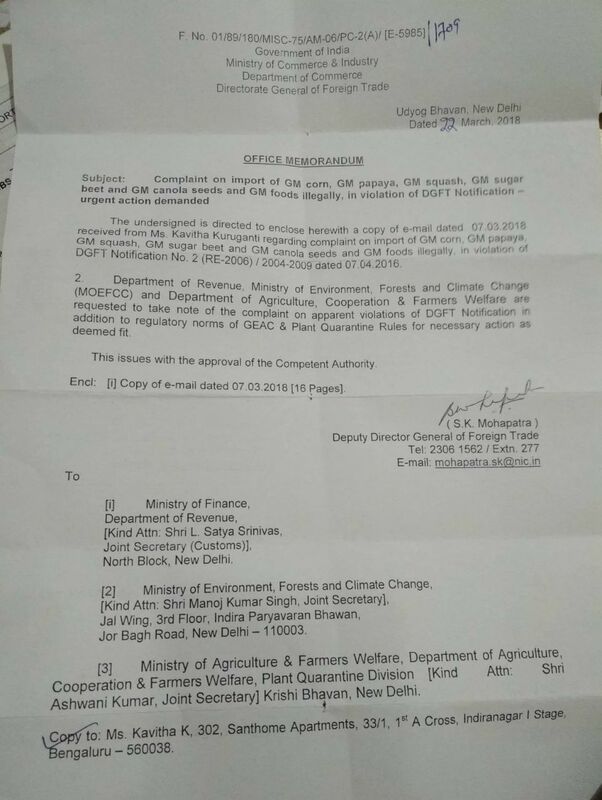 The 22nd March 2018 letter from the DGFT to 3 other Ministries (including Ministry of Environment, Forest & Climate change, ironically), asking them to take note of the complaint that the Coalition lodged, “for necessary action as deemed fit” is a clear case of this Ministry washing its hands off its responsibility in stopping GM foods from entering India. “We ask DGFT why do they allow illegal GM foods into India risking health of Indian citizens”, added the Coalition. Genetic Engineering Appraisal Committee (GEAC), in the Ministry of Environment, Forest & Climate Change: GEAC is guilty of having abandoned its responsibility with regard to GM foods in March 2017 itself, despite a Supreme Court Order to the contrary on 20/10/2008 which was still in force in March 2017. The Coalition complained to the GEAC on 31st January 2018. GEAC’s February 2018 letter to the DGFTin response to our complaint and RTI appeal (with another letter being sent on 2nd April 2018), is wholly inadequate in the face of the grave danger of risky GM foods coming in.It was a clear case of the ministries passing the buck to each other. It should be remembered that this is the same GEAC which cleared Bt cotton, Bt brinjal and GM Mustard without proper impact assessment. GEAC has become a promotion agency for GM crops and has no neutrality, scientific temperament and credibility. GEAC in its 134th meeting on 21/03/2018 discussed about GM food imports (Agenda Item 6) and agreed to put in place a process for considering proposals for bulk import of GM grains but gave itself a time period of six months! In this meeting, the Committee only took note of the Coalition’s complaint on illegal GM soy seeds and grains being imported into India, and recorded that the MoEFCC had issued a letter to DGFT to take appropriate action and issue suitable directives for curtailing the illegal import of unapproved GMOs. “Shouldn’t GEAC have initiated punitive action on all importers of illegal GM products?”, asked the Coalition. 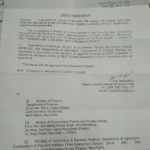 Food Safety & Standards Authority of India (FSSAI) under the Ministry of Health and Family Welfare:There is then the curious case of FSSAI not taking any action on complaints filed with it (the Coalition lodged a complaint on 16th March 2018), even though it had declared in the highest Court of Law in India that no GM foods have been allowed and therefore, any GM food is illegal by its presence. FSSAI simply refused to act and penalise FBOs who were clearly putting into the market illegal GM foods. Many other citizen complaints to FSSAI made more than 6 months ago on GM food presence in markets – see reference CMS0003783, CMS0003784, CMS0003785 have gone unanswered in spite of repeated follow-ups and RTI applications. The only responses received were on a social media platform as can be seen here and here, to this complaint. FSSAI simply did not fulfil its responsibility of ensuring food safety for all citizens, while it got busy regulating organic foods in the country! Not only this, FSSAI in the garb of drafting “Food Safety and Standards (Labelling and Display) Regulations”, proposes that GM presence in food upto 5% need not be called as GM! 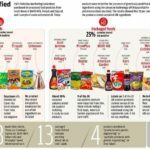 Department of Consumer Affairs, in the Ministry of Consumer Affairs, Food and Public Distribution: This Ministry, under the Legal Metrology Act is supposed to implement a labelling regime for packaged foods containing GM foods. 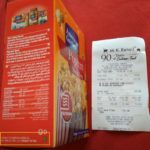 However, they have not done any implementation of the amended regulations so far, to let the consumer know if any food contains GM. “We fail to understand what the Department is doing for consumer interest in this regard and under whose pressure are they working against consumer interests”, added the Coalition. Directorate of Plant Protection, Quarantine and Storage, under the Ministry of Agriculture & Farmers’ Welfare: Under the Plant Quarantine (Regulation of Import into India) Orderof 2003, in exercise of powers under the Destructive Insects and Pests Act 1914, no GMOs can be imported into India without complying with the phyto sanitary conditions stipulated under the Order, that too only through New Delhi Airport. However, it is apparent that they are not implementing their own regulations. Seeds for multiple crops and food items are being imported in India from countries which grow mostly (more than 95%) GM varieties of these crops with the Plant Quarantine authorities taking no action to stop the same! Central Board of Excise & Customs, in the Department of Revenue, Ministry of Finance: While the Customs authorities are not named under any regulation, they are the key point of contact for all imports, and therefore, are to be necessarily involved in the picture. Despite several rounds of capacity building of the Customs officials, it appears that this department also has chosen to abandon its responsibilities. The fact that every regulator and ministry has failed in the discharge of its responsibility shows a sinister and willfully dangerous pattern that seeks to jeopardise and compromise on the health safety of citizens of India. The Coalition for a GM-Free India now appeals to the Prime Minister of India to urgently intervene in the matter, to fulfil the BJP Manifesto promise of 2014, and ensure that citizens are not subjected to the hazards of GM foods. A comprehensive Biosafety Law must be introduced and enacted by the Parliament to uphold biosafety in the context of modern biotechnology and gene technologies being deployed in our food, farming and environment. This is an existing recommendation of a Parliamentary Committee as well as the Supreme Court Technical Expert Committee. 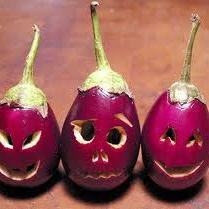 All GM food should be withdrawn and destroyed from the shelves immediately. Consumers should be educated on dangers of GM food through nationwide awareness campaign. Free testing facilities should be created for suspected GM or GM-derived food with prompt and time-bound action being taken on complaints. Zero-tolerance should be exhibited towards any breach of India’s ports of imports with GM foods and the same should be brought up as a breach of prior informed consent under the Cartagena Biosafety Protocol. Punitive action should be initiated against all regulatory authorities for the negligence exhibited in the discharge of their duties. Please find attached communication from MoEFCC regarding a representation received from GM Free India regarding illegal import of GM canola, GM sugar beet, GM papaya, GM soy, GM squash and GM corn seeds (LMOs) into India for your kind perusal.